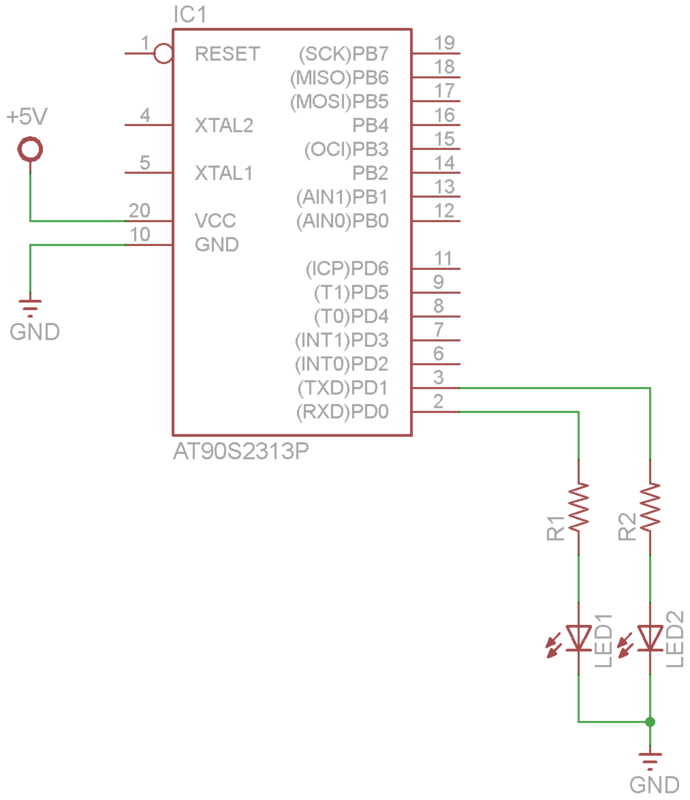 Not a very exciting example, just the usual flashing LED example with a couple of LEDs connected to our attiny, lets look at the schematic. We wrote this example in Atmel Studio. Fairly basic stuff here, set PORT D as outputs, switch on the LED connected to PD0, then the PD1 LED on, both LEDS on, then switch them off.